PennsylvAsia: K-pop Dance Class at Yanlai Dance Academy this summer. K-pop Dance Class at Yanlai Dance Academy this summer. 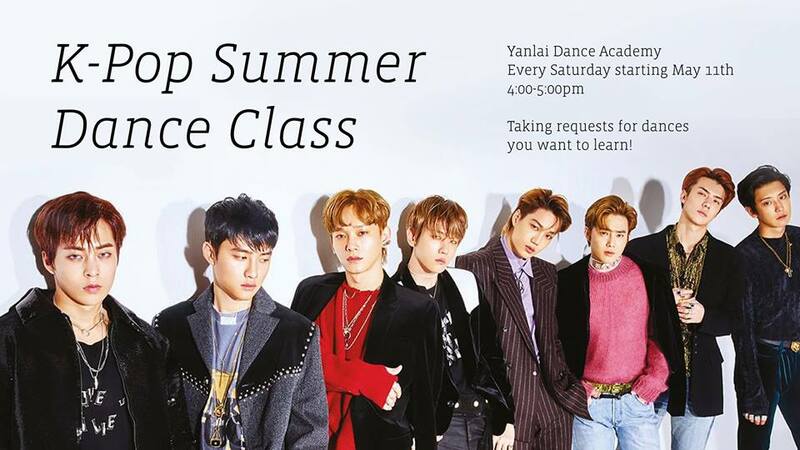 Lucy Chen will once again offer K-Pop Dance Classes at Yanlai Dance Academy this summer. K-pop has been sweeping through the popular mainstream culture. Come learn the choruses to your favorite songs at this dance class! For all levels! Taught by Lucy Chen. Feel free to request songs that you want to learn the dances to by commenting below or emailing lulujchen@gmail.com. We cannot guarantee your song will be taught but a schedule will be posted later with more details! The classes will run Saturdays from May 11 through July 13 from 4:00 to 5:00 pm. Yanlai Dance Academy is located at 2260 Babcock Blvd. in the North Hills (map).